"A refreshing cross between a margarita and a pina colada!" 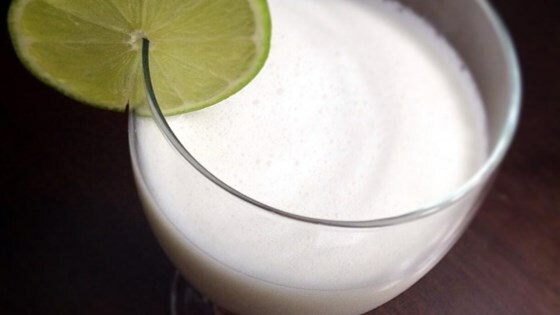 Blend cream of coconut, ice, tequila, lime juice, and orange liqueur in a blender until smooth. Rim your glass with crushed, toasted coconut, sugar or salt by dipping the rim of your glass in lime juice and rolling it in coconut, sugar or salt. This is a tasty coconut margarita and a fabulous way to kick off summer! super easy to make and delicious. I used triple sec and Disaronno for my orange liquor since it's what I had on hand. Delicious!!! !